GBP is under pressure due to the inflation data and the Brexit issue. 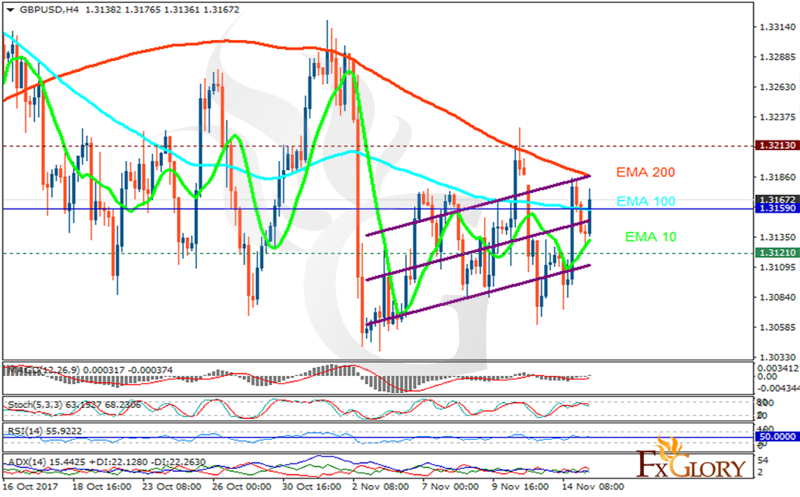 The support rests at 1.31210 with resistance at 1.32130 which the weekly pivot point at 1.31590 is located in between the lines. The EMA of 10 is moving with bullish bias along the ascendant channel but it is below the EMA of 200 and the EMA of 100. The RSI is rising above the 50 level, the Stochastic is showing downward momentum and MACD indicator is in neutral territory. The ADX is showing weak sell signals. The resistance level breakout will push the price up towards 1.35, otherwise it will drop to 1.30.